Zero Cool Gallery has teamed up with Very Nearly Almost to celebrate the launch of their new issue. 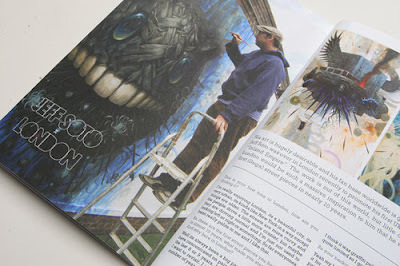 The magazines cover feature is Zero Cool artist Meggs and also features Ronzo, Word to Mother, Sickboy, Ron English and Jeff Soto as well as the usual round up of the latest Graffiti, Stencils and Paste Up’s from both the UK and around the World. 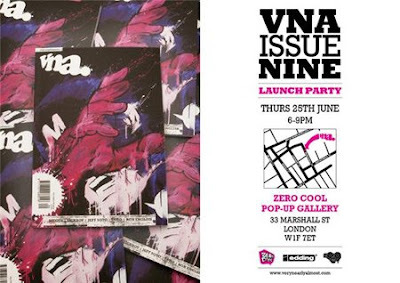 The fun starts at 6pm at Zero Cool London tonight, Thursday the 25th of June and will run until 9pm or until the beer runs out – there will also be a very limited VNA/Meggs T-Shirt which will be given out to the first few through the doors. The VNA shop is now open and you can buy your copies of the newest issue directly from the webshop here or in most Borders Bookshops.